Use to predict mortality, NOT to diagnose sepsis, per 2017 Surviving Sepsis Guidelines. Patients ≥18 years old in a non-ICU setting (i.e. pre-hospital, ward, emergency department, or step-down unit) with confirmed or suspected infection. The qSOFA Score was introduced by the Sepsis-3 group as a simplified version of the SOFA Score, a validated ICU mortality prediction score, to help identify patients with suspected infection that are at high risk for poor outcome (defined as in-hospital mortality, or ICU length of stay ≥3 days) outside of the ICU. Simplifies the SOFA Score significantly by only including 3 clinical criteria easily assessed at the bedside. Can be repeated serially if there is a change in clinical condition. At this time, no prospective studies demonstrate that clinical decisions based on qSOFA lead to better patient outcomes. The latest version of the Surviving Sepsis Campaign guidelines (March 2017) does not integrate the qSOFA Score in recommendations for screening or diagnosis of sepsis. Identifies patients outside the ICU with suspected infection that are at a high risk for in-hospital mortality. Can help increase suspicion or awareness of a severe infectious process and prompt further testing and/or closer monitoring. A “positive" qSOFA Score (≥2) suggests high risk of poor outcome in patients with suspected infection. These patients should be more thoroughly assessed for evidence of organ dysfunction. A positive qSOFA Score by itself should not trigger sepsis-directed interventions like initiation of broad-spectrum antibiotics; rather, it should prompt clinicians to further investigate for presence of organ dysfunction or to increase frequency of monitoring. The Sepsis-3 task force recommends that a positive qSOFA Score should prompt the calculation of a SOFA score to confirm the diagnosis of sepsis. This remains controversial, as qSOFA has been shown to be more predictive than SOFA outside of the ICU setting. Even if the qSOFA Score is initially "negative" (<2), it can be repeated if there is a change in the patient’s clinical status. qSOFA is a mortality predictor, NOT a diagnostic test for sepsis. It is still not clear how it will be used in the sequence of events going from screening, to diagnosis of sepsis, to the triggering of sepsis-related interventions. The management of sepsis is continually evolving and is detailed in the Surviving Sepsis Campaign: International Guidelines for Management of Sepsis and Septic Shock: 2016. The qSOFA (quick SOFA) Score was introduced in February 2016 by the Third International Consensus Definitions for Sepsis and Septic Shock (Sepsis-3) task force as a rapid bedside clinical score to identify patients with a suspected infection that are at greater risk for a poor outcome. The primary outcome was in-hospital mortality, and the secondary outcome was ICU length of stay ≥3 days. It was meant to replace the Systemic Inflammatory Response Syndrome (SIRS) criteria that were believed to be less sensitive and specific (although this remains controversial). The qSOFA Score was retrospectively derived and internally validated in a 2016 study by Seymour et al. 148,907 patients with suspected infection in and outside of the ICU setting were included. In patients outside of the ICU with a qSOFA Score of 2 or higher, there was a 3- to 14-fold increase in the rate of in-hospital mortality. Among ICU patients, however, the predictive validity of SOFA for in-hospital mortality was statistically greater than qSOFA. The qSOFA Score was prospectively validated in an emergency department population in a study by Freund et al (2017) including 879 patients across 30 emergency departments in 4 countries. The qSOFA Score resulted in greater prognostic accuracy for in-hospital mortality than SIRS or severe sepsis. Raith et al (2017) externally validated the SOFA and qSOFA Scores in a population of 184,875 patients with an infection-related admission diagnosis who were retrospectively identified and analyzed. An increase in SOFA score of 2 or more points had greater prognostic accuracy for in-hospital mortality than the SIRS criteria or the qSOFA Score in an ICU population. Shankar-Hari M, Phillips GS, Levy ML, et al. Developing a New Definition and Assessing New Clinical Criteria for Septic Shock: For the Third International Consensus Definitions for Sepsis and Septic Shock (Sepsis-3). JAMA. 2016;315(8):775-787. doi:10.1001/jama.2016.0289. Freund Y, Lemachatti N, Krastinova E, et al. Prognostic Accuracy of Sepsis-3 Criteria for In-Hospital Mortality Among Patients With Suspected Infection Presenting to the Emergency Department. JAMA. 2017;317(3):301-308. Raith EP, Udy AA, Bailey M, et al. Prognostic Accuracy of the SOFA Score, SIRS Criteria, and qSOFA Score for In-Hospital Mortality Among Adults With Suspected Infection Admitted to the Intensive Care Unit. JAMA. 2017;317(3):290-300. Singer M, Deutschman CS, Seymour C, et al. The Third International Consensus Definitions for Sepsis and Septic Shock (Sepsis-3). JAMA. 2016;315(8):801-810. doi:10.1001/jama.2016.0287. Why do you think it’s so hard to nail down a definition and criteria for sepsis? Sepsis is a common and deadly syndrome, but there isn’t one checkbox or patient symptom that identifies them as having sepsis or not. Sepsis is a combination of suspected infection, that is causally related to life-threatening organ dysfunction. And patients can manifest that organ dysfunction in a variety of ways, whether it’s altered mental status, or difficulty breathing, or low blood pressure, or all of these together, and as a result, clinicians may encounter a patient with sepsis, but vary in both how fast they recognize this, and in whether they even call them septic or not. And this was what prompted the task force to get together and come up with more simple criteria to help clinicians with this task. One of the qSOFA parameters is respiratory rate, which, as a vital sign, is somewhat notorious for being measured and documented inaccurately. What effect do you think this has on the qSOFA data, if any? With any vital sign that’s recorded by nurses or clinicians at the bedside, there may be some that are more accurate than others. Our approach to analyzing the data from electronic health records and then forming the regression models to develop qSOFA, we developed by using the data from the record. We understand that there’s some issues with internal validity, i.e., the accuracy or reliability of those measurements, but we tried to balance those against what we call generalizability, meaning we used data from all patients from 14 centers to derive the score, and then validated it in millions of patients across more than a hundred hospitals. So those incorporate hospitals that have great data accuracy, and some that don’t, and that hopefully balances out in the end. Any comments on the two sepsis studies from JAMA January 2017, namely, the Australian study showing that SOFA was better than qSOFA for in-hospital mortality in ICU patients, and the European study showing that qSOFA was better than SIRS and severe sepsis at predicting in-hospital mortality? We were very much encouraged by independent groups from the task force looking at similar research questions. So the paper from Australia in ICU patients found very similar results to what we found in our US and European data, which is that SOFA seemed to have greater predictive validity when combined with suspected infection than other scores. This was entirely consistent with our results. The other paper was conducted by an independent group in emergency departments across many centers in Europe and did in fact externally validate the signal between qSOFA and bad outcome that are more common in sepsis than not. And so we think that it continues to support the original finding, again very large observational studies, by the EM community, that theirs were consistent with ours. It's pretty clear in the paper that qSOFA was originally derived in patients who are already suspected of having infection, but it seems that clinically it's been mis-applied as a sepsis screening tool. Do you have any thoughts on that, or other examples that you know of where qSOFA is applied incorrectly? You bring about a really important question, which is, how do patients with sepsis present? Some can present with both organ dysfunction and infection at the same time, or one bit of organ dysfunction may be present before the clinician suspects infection. It’s not always one or the other. When we approached the data analysis, we used people who had already had antibiotics and a body fluid culture and had suspected infection, and then asked, what other additional available data would identify this patient as likely to be septic or not? The application of that in real practice may be different because different people present in different ways. I think, as a screening tool, this would imply that you’re looking at a window when no infection has yet been suspected by the clinical team, that I think any score, whether it’s qSOFA or others, is unlikely to fully capture and discriminate between those patients. The initial diagnosis of infection is a subjective determination by the doctor, and has been informed upon by the IDSA [Infectious Diseases Society of America], with a variety of symptoms, many of which can’t be objectively measured but are rather subjectively measured for the patient. So we wouldn’t be surprised if something simple like qSOFA does poorly to identify infection or not. Can you tell me about your other research? In general, our research program is figuring out ways to treat sepsis patients earlier. That involves both identifying them and exploring different treatments when they are in the ambulance before they get to the hospital. We thought about using clinical tools like the qSOFA score in the ambulance, as well as other measures or biomarkers from the blood, so we’re currently analyzing a large NIH-funded cohort in a study called PIPELINE in which biomarkers such as procalcitonin, lactate, and inflammatory cytokines were measured in prehospital blood, perhaps as a way to improve paramedic suspicion for sepsis. So if a patient is suspected to have sepsis, the question for the prehospital provider is, now what? And there are a few things to test. One might be direct administration of something like intravenous fluids, but also notifying the hospital of their patient who’s about to arrive. So, with funding from the University of Pittsburgh, we are working to develop a Think Sepsis App, which takes these elements of qSOFA and other scores, and is able to securely notify the hospital that they’re on their way. And we hope that in future studies, an app like this can reduce time to antibiotics [mortality increases by 7% for every hour that antibiotics are delayed] and therapy inside a hospital. So sort of like the activation systems already well in place for heart attack and stroke? Exactly. Advanced notification in acute cardiovascular disease is a decade ahead of where we are at now for sepsis syndromes. 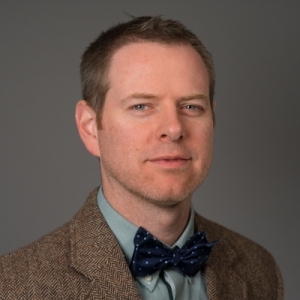 Christopher Seymour, MD, is Assistant Professor of Critical Care and Emergency Medicine at the University of Pittsburgh School of Medicine. His research focus is on the organization of critical care during pre-hospital care, particularly the development of early diagnostic and prognostic models to facilitate allocation of patients and early treatments for those with acute illness. Dr. Seymour works clinically in the Medical Intensive Care Unit at the University of Pittsburgh Medical Center Mercy Hospital.